1. Mariscalco G., Klersy C., Zanobini M., Banach M., Ferrarese S., Borsani P., Cantore C., Biglioli P., Sala A. Postoperative atrial fibrillation and mortality after coronary artery bypass surgery. J. Am. Coll. Cardiol. 2004; 43: 742–748. 2. Mathew J.P, Fontes M.L., Tudor I.C., Ramsay J., Duke P., Mazer C.D., Barash P.G., Hsu P.H., Mangano D.T. A multicenter risk index for atrial fibrillation after cardiac surgery. JAMA. 2004; 291: 1720–1729. 3. Archbold R.A., Curzen N.P. Off pump coronary artery bypass graft surgery. The incidence of postoperative atrial fibrillation. Heart. 2003; 89: 1134–1137. 4. Filatov A.G., Tarashvili E.G. Epidemiology and social significance of atrial fibrillation. Annaly aritmologii = Annals of arrhythmology. 2012;9(2):5–13. 5. Bokeriya L.A., Zelenikin M.A., Golukhova E.Z., Batov S.M. Cardiac arrhythmias and conduction in the early postoperative period after surgical correction of congenital heart defects in infants. Annaly aritmologii = Annals of arrhythmology. 2012;9(1):24–32. 6. 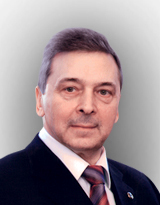 Melikulov A.Kh., Maglakelidze D.A. Possible mechanisms and strategies for the prevention of atrial fibrillation after open heart surgery. Annaly aritmologii = Annals of arrhythmology. 2012; 9(1):13–19. 7. Jarett C., Kwame A. Postoperative Atrial Fibrillation: Role of Inflammatory Biomarkers and Use of Colchicine for Its Prevention. Pharmacotherapy. 2014; 34 (11): 1167–1173. 9. Bokeriya O.L., Akhobekov A.A. Effectiveness of statins in the prevention of atrial fibrillation after cardiac surgery. Annaly aritmologii = Annals of arrhythmology. 2014;11(1):14–23. DOI: 10.15275/annaritmol.2014.1.2. 10. Hung C.Y., Hsieh Y.C., Huang J.L., Lin C.H., Wu T.J. Statin Therapy for Primary Prevention of Atrial Fibrillation: Guided by CHADS2/CHA2DS2VASc Score. Korean Circ. J. 2014; 44 (4): 205–209. 11. Zheng H., Xue S., Hu Z.L., Shan J.G., Yang W.G. The use of statins to prevent postoperative atrial fibrillation after coronary artery bypass grafting: a meta analysis of 12 studies. J. Cardiovasc. Pharmacol. 2014; 64 (3): 285–292. 12. Samadikhah J., Golzari S., Sabermarouf B., Karimzadeh I. Efficacy of Combination Therapy of Statin and Vitamin C in Comparison with Statin in the Prevention of Post CABG Atrial Fibrillation. Adv. Pharm. Bull. 2014; 4 (1): 97–100. 13. Jacob K.A., Nathoe H.M., Dieleman J.M., van Osch D., Kluin J., van Dijk D. Inflammation in new-onset atrial fibrillation after cardiac surgery: a systematic review. Eur. J. Clin. Invest. 2014; 44 (4): 402–428. DOI: 10.1111/eci.12237. 14. Gibson P.H., Cuthbertson B.H., Rae D., El-Shafei H., Gibson G., Croal B.L., Jeffrey R.R., Buchan K.G., Hillis G.S. Usefulness of neutrophil/lymphocyte ratio as predictor of new onset atrial fibrillation after coronary artery by pass grafting. Am. J. Cardiol. 2010; 105: 186–191. 15. Kuhn E.W., Liakopoulos O.J., Stange S., Deppe A.C., Slottosch I., Choi Y.H., Wahlers T. Preoperative statin therapy in cardiac surgery: a meta-analysis of 90 000 patients. Eur. J. Cardiothorac. Surg. 2014; 45 (1): 17–26. DOI: 10.1093/ejcts/ezt181. 16. Lamm G., Auer J., Weber T., Berent R., Ng C., Eber B. Postoperative white blood cell count predicts atrial fibrillation after cardiac surgery. J. Cardiothorac. Vasc. Anesth. 2006; 20: 51–56. 17. Chello M., Anselmi A., Spadaccio C., Patti G., Goffredo C., Di Sciascio G., Covino E. Simvastatin increases neutrophil apoptosis and reduces inflammatory reaction after coronary surgery. Ann. Thorac. Surg. 2007; 83: 1374–1380. 18. Kimura M., Kurose I., Russell J., Granger D.N. Effects of fluvastatin on leukocyte — endothelial cell adhesion in hypercholesterolemic rats. Arterioscler .Thromb. Vasc. Biol. 1997; 17 (8): 1521–1526. DOI: 10.1161/01.ATV.17.8.1521. 19. Scalia R., Gooszen M.E., Jones S.P. Simvastatin exers both anti-inflamatory and cardioprotective effects in apolipoprotein E deficient mice. Circulation. 2001; 103 (21): 2598–2603. DOI: 10.1161/01.CIR.103.21.2598. 20. Ikeda U., Shimada K. Statin and monocytes. Lancet. 1999; 353 (9169): 2070. DOI: 10.1016/S0140-6736(05)77885-5. 21. Marin F., Pascual D.A., Roldán V., Arribas J.M., Ahumada M., Tornel P.L. et al. Statins and postoperative risk of atrial fibrillation following coronary artery bypass grafting. Am. J. Cardiol. 2006; 97: 55–60. DOI:10.1016/j.amjcard.2005.07.124.